Have you ever really thought about living your life to the fullest? I mean actually living your life; not living your life for other people, being what other people want you to be and doing what other people want you to do. But, really living, loving and enjoying your life like you know you were meant to do. Actually taking the time to honor and respect yourself enough to listen to yourself. If you have been neglecting yourself, it is time you stop. Today is the day you stop complaining. Today is the day you stop whining. Today is the day that you make the rest of your life the best of your life. It is time to live your life. As you begin his journey know that there will be challenges and bumps along the way. It is during these times that you are to remain steadfast. During these times, you must remember what your overall goals and objectives are. Your goals and objectives will give you the energy, the drive and the determination to be the best you can be. When you are at your best, you do your best. Now don’t get it twisted about being your best. Being your best requires that you bring your “A” game. Mark Zuckerberg and Oprah Winfrey are at their “A” game. When you are at your “A” game things are not the same. You have an entirely different mindset, and you have no problem living, loving and enjoying life. When you are at your “A” game, you get it. You understand life. 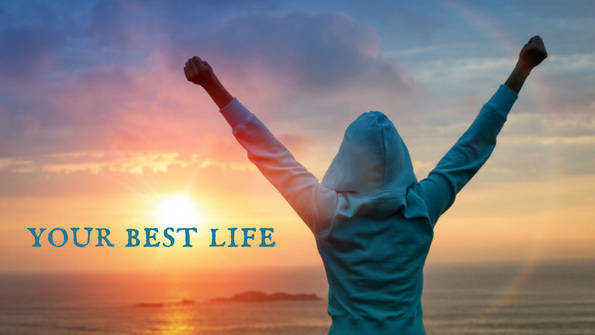 You know that life is what you make it, and if you want to live your best life you do what is necessary. Living your best life gives your life a new meaning. Life offers opportunities each and every day. The difference between people that are living life and those that are just haphazardly watching life pass them by is that they are certain. They are confident that if you believe in you, maximize your potential and take action, you will get positive results. Now, what are you waiting for? It is your life. LIVE, LOVE and ENJOY LIFE.